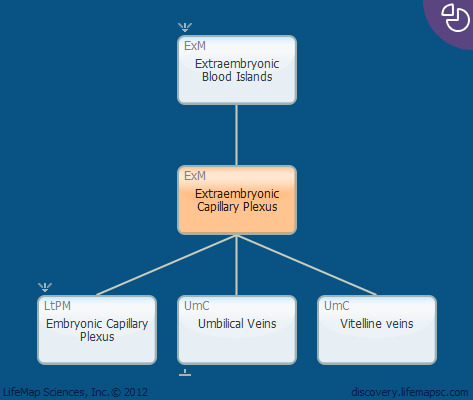 Primary capillary plexus are generated by coalesced blood islands in the Yolk Sac. This extraembryonic vascular network rapidly blends with the intraembryonic circulation, which appears a little later, beginning at week 4 of gestation in humans. tThe primitive extraembryonic vascular plexus in the yolk sac gives rise to the vitelline circulation. Extraembryonic vasculogenesis also independently occurs in the allantois and contributes to the formation of the umbilical vessels.